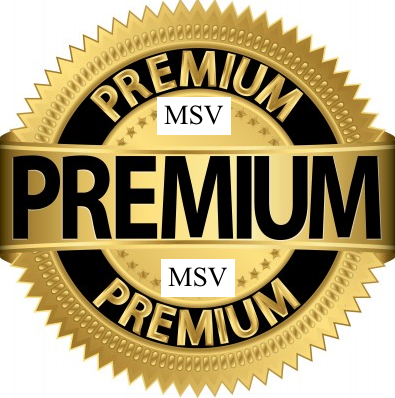 Originally, the impetus behind MSV premium was to supplement content for supporters and offset the many hours invested in protecting Hoboken and its citizenry against the dregs, thieves and political whores who believe looting it is an opportunity and birthright. In 2012, a frivolous lawsuit filed against this editor announced in a live July City Council meeting 15 days before its filing by former Councilwoman Beth Mason changed all that. Almost five years in, Mason's "friends" - the plaintiffs claim not to have any money to pay over $276,000 in sanctions for frivolous litigation while generating another $250,000 in legal fees for the post-trial appellate stage since 2015. Yeah, something is rotten in Denmark. In 2009, MSV only months in existence, held the first ever interview with the late Judy Tripodi, the fiscal state monitor appointed to oversee the City of Hoboken. Tripodi never trusted or spoke to any local media until the interview with MSV. In that MSV exclusive interview, Triopid revealed Hoboken taxes would go down. The late Ms. Tripodi as it turned out was a regular MSV reader. Independently, officials after the election seeing Dawn Zimmer set for a term as mayor told MSV it was responsible for the outcome overcoming a huge financial effort by Beth Mason to win the City Hall mayoralty as she and her army of paid political operatives claimed Zimmer was "hiding the budget" and would increase taxes. The Big Lie failed. Since there's no polling of any reliability here, MSV has always declined to accept the accolades. In 2010, MSV uncovered and broke several major stories of Hoboken's dramatic abuse in voter fraud deploying Vote by Mail ballot gaining statewide attention and law enforcement attention. No longer would voter fraud be swept under the rug in the Mile Square City. It's been an open secret in the years since. In 2011, MSV's exclusive story detailing Councilman Mike Russo's agreeing to bribes with a FBI Informant Solomon Dwek led to his braggadocio of a denial and then directly to a follow up interview with the authors of The Jersey Sting and the ultimate word on the matter; the FBI surveillance video starring Michael Russo himself. In 2012, the notorious BoE ticket backed by Beth Mason, the Move Forward Nazi Truck received national attention for parading a looping video with a Nazi flag proudly waving all across Hoboken on two consecutive nights of meetings outside the BoE and then City Hall. MSV followed that coverage eventually breaking the full story of its ugliness and the money behind creating it. The BoE ticket cratered and so did Mason's design to run a third time for mayor in 2013. In 2012 - Al Arezzo, the terror of the construction office was terminated. MSV broke the exclusive. In 2013, two years of MSV reporting in the often overlooked Hoboken Housing Authority concluded with the numerous antics of Carmelo Garcia seeing his eventual termination as Executive Director. His ridiculous efforts to win a seat on the City Council in 2015 while suing the City met with failure as Hoboken re-elected City Council President Jen Giattino. Garcia almost saw a riot break out in council chambers in August 2013 but it all came to nought. He later would try to tape his way to success recording his confession in the can. It's lurid, fluid and yes, quite stupid. Three versions of an equally problematic lawsuit earned him nothing. In 2014, MSV testified in Hudson Superior Court as a witness detailing Hoboken voter fraud. The case brought on behalf of big developers sought to overturn a 2013 ballot question on rent control. The court would uphold dozens of challenges to MSV's testimony and the NJ reporter's privilege or Shield Law. In the end, the integrity of the Hoboken election results would stand. In 2015, the multi year frivolous lawsuit Bajardi v Pincus was thrown out of court mid-trial followed the plaintiffs being issued with hundreds of thousands in sanctions for its clearly political designs. Most of the people targeted had never mentioned the plaintiffs. They were however 100% guilty of speaking out against corruption, the Old Guard and Beth Mason. 2009 - ? In a classic David vs. Goliath match up, MSV reported on the antics and attacks of former Councilwoman Beth Mason who sought power by almost any means utilizing a rumored seven figure annual political budget. MSV with no annual budget and on the basis of word of mouth alone garnered millions and millions of visits overcoming the massive disparity. The Old Guard anti-Hoboken agenda was replaced with Second Ward Councilwoman Tiffanie Fisher, a dramatic improvement for the Mile Square City. In 2016, MSV broken another exclusive: Carmelo Garcia was finally sued back by the Hoboken Housing authority. The full court filing was obtained at Hudson Superior Court and published here. Mason's war on speech in Hoboken drew blood but in the end failed. So too, her bottomless pit of ambition to have power over Hoboken residents. The hospital saga became widely known. MSV finds itself joining classical liberals who staunchly defend the First Amendment, Fourth Amendment and the US Constitution against its enemies foreign and domestic. Many Hoboken residents have stood behind this website and in doing so helped the Mile Square City's fight for good government and the full and free public participation of its citizens. It wasn't planned; it did however turn out that way. Stand together; once more unto the breech dear friends, once more. Please join MSV Premium. At $75, it's the biggest bang for the buck you'll ever make in this mile square city we call home.